A look at the civilian pistol climbing ranks with the U.S. military, here’s why the Sig Sauer P320 is the go-to handgun for the everyday citizen. By no means is it easy for the average person to decipher the differences in the long list of personal firearms available in today's market. Which one handles the best? Which is the safest to carry and operate? Which of them is the most aesthetically appealing? Which one will meet your specific needs? And the list goes on. Luckily, you don’t have to be a firearms aficionado to find the answers to these common, yet serious questions. The polls are in and the numbers don't lie. And while it’d be easy to walk into any firearm distribution center and blindly pick one off a shelf in hopes that it will fit your needs, we want you to be able to make informed, reasonable decisions when it comes to selecting your first or next handgun. When searching for the perfect sidearm, most people rely on cold hard facts about manufacturing, reputation, ease of use, precision and affordability. It’s one thing to get a good deal on the purchase of a product. It’s another thing entirely to get a good deal on the purchase of a remarkably superior product. That’s just what’ll you’ll get with the P320. Developed by a reputable company, and upholding its distinguished reputation, this gun has brought Sig Sauer business spanning the globe. Notably, the serialized stainless steel frame, coming in a variety of finishes, provides a fashionable appearance. Whether you prefer flat black, dark earth or coyote tan, the guns stylish shell will catch the eye. Not too slender, not too chunky, its frame is easy to grip and provides comfort for the handler. Its modular design allows for easy modification. Be it frame size, caliber, or grip fit, this pistol is being called the most adaptable of its kind. It holds 9MM, .357SIG, and .40S&W, and 45Auto calibers and operates on a Striker Action firing system giving it an exceptional trigger pull, swift tactile reset, and noteworthy accuracy. It’s short recoil, steel slides and barrel make for a smooth, effortless shot. Speaking of design, its cutting-edge structure allows for simple, yet safe takedown. By providing striker safety, disconnect safety, magazine disconnect safety, and 3 point take down safety mechanisms it keeps the handlers welfare a priority. Easy to assemble, easy to operate, and easy to clean this is the trifecta of gun ownership. Adding to the list of distinctive features, we can’t forget about the extensive number of customizable add-on options: a threaded barrel, optic ready slides, and removable day and night sight plates. Removable grip weight and magazine funnel are also available as add-ons. We all want more bang for our buck and with today's economy its worth weighing the pros and cons between price and value before purchasing something as important as a new firearm. With the P320, you’ll find your money to be well spent. Of course, as with most services and products, the more you customize the product, steeper the price will be. In its most basic form, the pistol sells for around $. Customization and add-ons can raise that price to over a thousand dollars, but when compared to similar products, it’s reasonably priced. When it comes to something as important as purchasing a firearm, quality should be exceptional and costs comparable. All in all, what you’ll pay for this firearm seems fitting for the product. Where Can I Buy The Sig P320? Of the many guns on the market today, the Sig P320 seems to hold its own when it comes to design, capability, accuracy, and pricing. Manufactured by a reputable company, it challenges older makes and models of semi-automatic handguns for a spot at the table and is making headway among lifelong gunners and the newly armed alike. The feel and mechanics of this gun make for straight shooting and easy handling. With its manageable trigger and short reset, accuracy with firing is easily attainable. Light recoil is just an added bonus when it comes to this firearm. Its size and substance make for smooth concealing while also presenting effortless wielding. The size, caliber, grip and safety options surpass its competitors, but the Glock still offers more customization overall. Let’s take a closer look at the specifications that set the Sig P320 apart. This gun feels good and looks good. Full size, Carry, Compact or Subcompact, the visual appeal is evident. Top that off with the striker fire action, frame rails, magazine capacity, interchangeable trigger group, and trigger options and its built-in functionality are hard to beat. 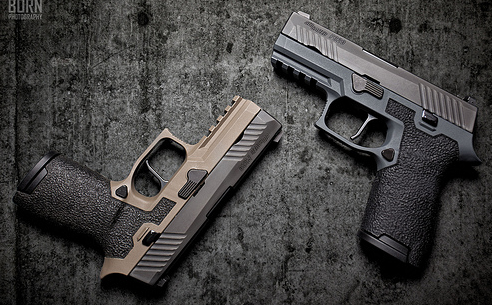 Sig Sauer offers a five year to a lifetime warranty for the original purchaser. Need we say more? Once the most popular handguns on the market, the Glock 19 was best known for its use as a service weapon before making its way to the attention of the masses. Finding success as the first mass-produced handgun made of a polymer frame, this double action only pistol has Tenifor coated parts and firing pin safety. Weight and length give a sense of comfort when gripping this gun and recoil is manageable. 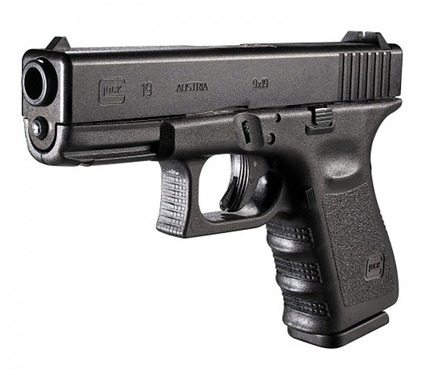 A classic among its competitors, the Glock 19 still comes in as a favorite in its class. With no external safety mechanism, we found this guns security features lacking. With its smaller barrel and matte finish, this gun is not as aesthetically appealing as its rivals. Still, its simple design, simple takedown, and short recoil make this gun easy on the eyes and easy to handle. The manufacturers offer a limited lifetime warranty. The concealed carry gun taking the industry by storm, this subcompact sidearm has created quite the buzz in the firearms market. This petite sidearm is ideal for concealed carry and brings functionality in a most minute form. Getting a feel for how to handle a subcompact gun can be a task. This particular piece comes with a comfortable grip, easily accessible controls and a remarkable trigger. For its size and caliber, Sig 365 holds impressive details. A five year to a lifetime warranty can be obtained on Sig Sauer products. A popular, modular pistol by Sig Sauer comprised of a double action trigger and available in several sizes, this semiautomatic firearm offers several options in caliber, frame and slide. 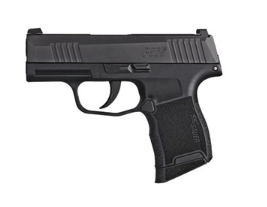 The Sig 250 is reasonably priced for a gun of its size and ability. In the subcompact category, the 365 is pleasing to the eye while being mechanically efficient. Small and sleek, this lightweight still packs a punch with its unprecedented 13 round capacity magazine capability. As with most guns on this list, the Sig 250 is fairly smooth to operate. However, it’s chunkiness is an acquired taste andit has been noted that trigger alterations have been preferred. With its polymer frame, it almost looks like just about any other compact firearm on the market. However, it holds much versatility in its ability to be modified to specific handler needs. From grips to triggers, the combination of interchangeable hardware deserves attention. Again, SigArms provides commendable warranties on their products. What’s not to love about that? 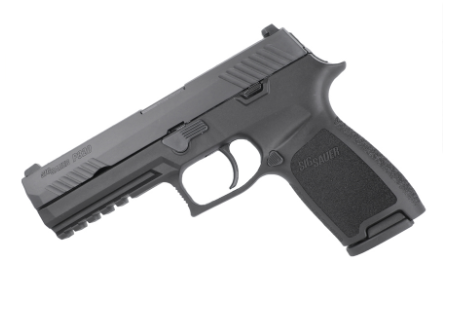 So where does the Sig P320 rank on the ever-growing list of available handguns? Hands down, it meets the mark in our book. Its interchangeable grips, trigger groups, and calibers prove to be leading the market. Its slides, sights, and safety features only add to its superb design. Factor in its innovative trigger mechanism and hassle-free takedown and you’ve got yourself a top-notch firearm. Impressive functionality, tremendous accuracy, and visually appealing, the Sig P320 can be appreciated by both men and women and is ideal for home defense, target practice and concealed carry. It’s stainless steel composition and striker fire system add depth and consistency to growing list of benefits associated with owning this gun. Revered by the military and eagerly adopted by civilian gunners everywhere, this firearm is made for exactitude and satisfaction. Its shootabilty, ergonomic design, and many modular options prove that attention to detail on behalf of the designer and manufacturer were not lacking. 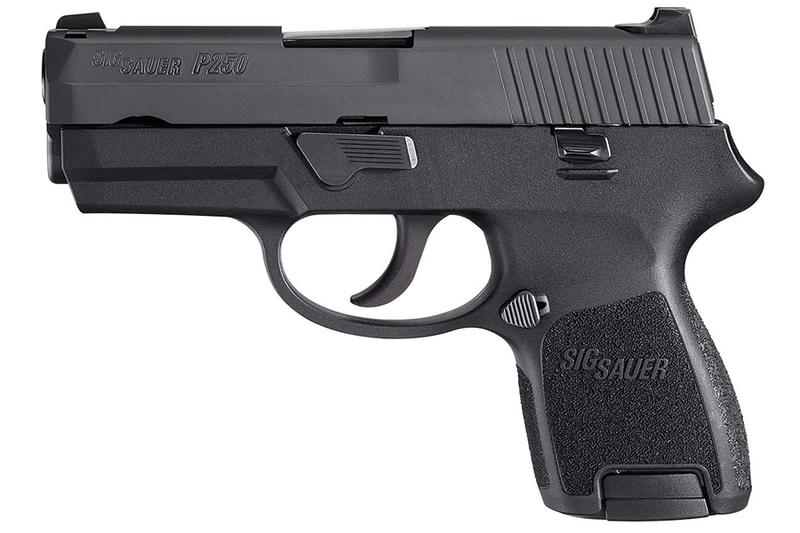 For comfort, ease of use, precision of shot, and no hassle maintenance, we give the Sig P320 5 stars. 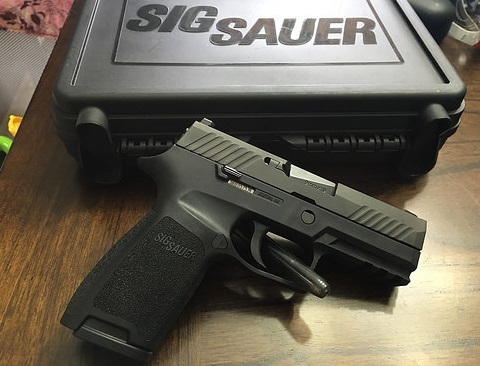 Hey Buddy!, I found this information for you: "Comprehensive Sig Sauer P320 Review". Here is the website link: https://thegunrights.com/sig-sauer-p320-review/. Thank you.